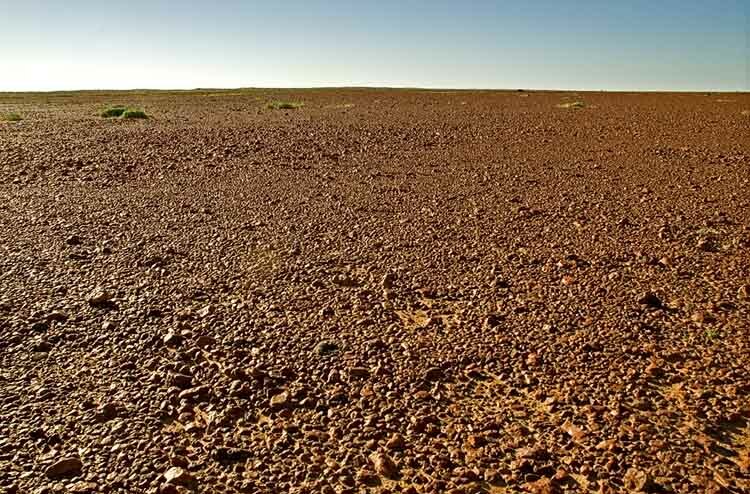 Still heading south from Birdsville, we enter the Sturt Stony Desert. There are no sand dunes to speak of in this desert, but, rather, â€œgibbersâ€? (ironstone stones) extend as far as the eye can see – and then some.